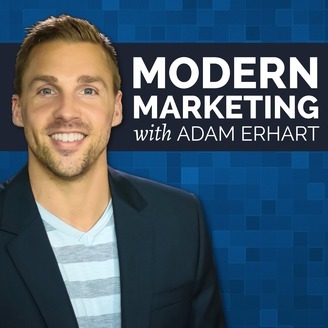 Modern Marketing is a weekly podcast hosted by digital marketing consultant, Adam Erhart, that shares a variety of proven and effective marketing tactics, tools, tips, and strategies to immediately help you take your business to the next level. From foundational marketing principles to the most current and cutting edge strategies and approaches available, Modern Marketing is all about helping you fill up your business with high quality leads, customers, and sales, increase your market share, and helping you build massive goodwill and brand awareness in your industry. Learn how to make online marketing, social media, paid traffic, email marketing, funnels, and automation work for your business. Today's episode is an exciting one, as it's the first time we've talked about Live Event Marketing. Nate Bailey, Lead Trainer and Lead Coach of the Prosperity Revolution, breaks down his complete lead gen funnel for us that he uses for his live events. The reason this is such an interesting subject is because live events are an amazing business-boosting opportunity. Even if you don't intend on doing live events, it's always beneficial to look behind the scenes at someone else's funnel and how they have it structured. When you start looking closely at funnels for a better understanding, you'll find some underlying trends and themes that you'll be able to apply to different areas of your business. 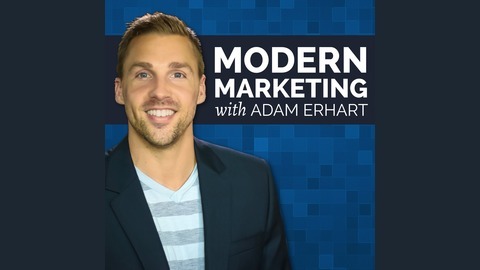 So, whether you are brand new to funnels or live events, or you're trying to optimize the one you have, this podcast is going to have something for you. Testing different models and messages, as well as different videos, funnels, ads, etc. What’s the wording of the main questions you found to be most effective? Did you test image ads against it as well and find the video performed best?